On this New Year my dad gifted me a new computer which is assembled but with some high configuration . So now i have also installed windows vista on it and checking up all options . In between this I created a small list of easy and useful windows run commands for vista and was looking for some notebook to write them down . But than i thought I can publish them on my blog , so now they will not misplace till I learn them by using again and again .So here is the complete list of run Commands for Windows Vista which i have tried till yet . 1. Colorcpl - This run command is used for Color Management . 2. CompMgmtLauncher - This run command is used for Computer Management Launcher . 3. Control -This run command is used for Control Panel . 4. Credwiz - This run command is used for Credential Backup and Restore Wizard . 5. Dfrgui - This run command is used for Defragment User Interface . 6. Dpinst - This run command is used for Driver Package Installer . 7. AdapterTroubleshooter - This run command is used for Display Adapter Troubleshooter . 8. Rekeywiz - This run command is used for Encryption File System . 9. Eventvwr - This run command is used for Event Viewer . 10. FirewallSettings - This run command is used for Firewall Settings . 11. FirewallControlPanel - This run command is used for Firewall Control Panel . 12. Helppane - This run command is used for Help Pane . 13. Iscsicpl - This run command is used for iSCSI Initiator . 14. lpksetup - This run command is used for Language Pack Installer . 15. Mobsync - This run command is used for Microsoft Sync Center . 16. Perfmon - This run command is used for Performance Monitor . 17. Presentationsettings - This run command is used for Presentation Settings . 18. PrintBrmUi - This run command is used for Printer Migration . 19. Snippingtool - This run command is used for Snipping Tool . 20. Slui - This run command is used for Software Licensing/Windows Activation . 21. Sndvol - This run command is used for Sound Volume . 22. Soundrecorder - This run command is used for Sound Recorder . 23. SystemPropertiesAdvanced - This run command is used for System Properties . 24. Netplwiz - This run command is used for the information on User Accounts . 25. Wfs - This run command is used for Windows Fax and Scan . 26. Mblctr - This run command is used for Windows Mobility Center . 27. Sdclt - This run command is used for Windows Backup Utility . 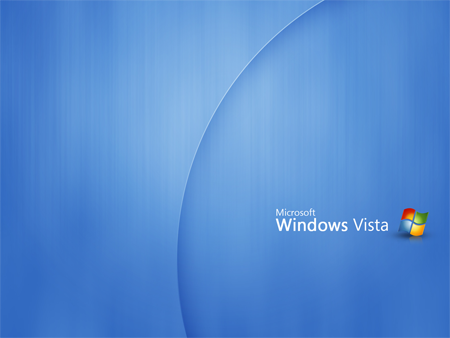 I know their are few more windows run commands for vista which can be used . Whenever i will need more or know some more usefull commands than i will update this post also .